Welcome to Lake Forest, the official site for Lake Forest Homes For Sale & Real Estate information. Lake Forest is one of Sanford Florida’s most desirable gated communities. Lake Forest offers Luxury Homes For Sale in this gated waterfront community. Form the first moment you enter the guarded entrance at Lake Forest you will be amazed at the landscape and topography. Lake Forest's scenic beauty is complemented by some of the area's most outstanding custom residences. Lake Forest is a community of luxury houses so unique it has earned the Grand Aurora Award for "The Best Residential Development in the Southeastern United States". Voted one of the top places to live in Central Florida, Lake Forest offers its residents endless amenities including The Clubhouse Resort Pool, Fitness Center, Tennis Courts, Basketball, Volleyball, Fishing on a 70 acre Lake and a Lifestyle of Luxury. For a private tour of this community or to learn more about Lake Forest call us at (352) 478-4300. Below you will see all Lake Forest Homes for Sale. 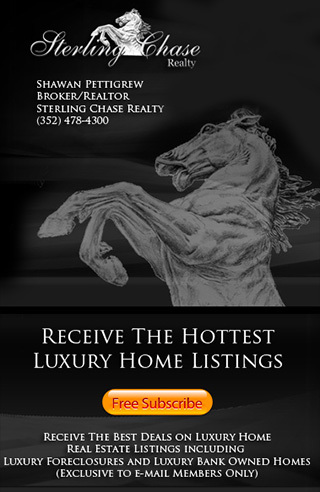 This Page is updated daily so you are sure to see the latest Lake Forest Real Estate information.